Zhoozhitzu do Graugardo: Ten quick tips for you, who is practicing Brazilian Jiu Jitsu. Great advice, especially number one. Really looking forward to the book. Good list, although I'm still not sure on the competition thing: I did it once and hated it, though I would agree everyone should at least give it a try. I really think you hit the nail on the head about competing personally. I don't see how you could hate competing, unless there are some underlying issues there. Like me for instance...I grew up a very sheltered child and I was afraid of my own shadow. I started jiu-jitsu for this very reason. When I found out about competing I figured what better way to get over my anxiety. I still get extremely nervous before competition and next year I will be coming up on my 12th competition...but I know eventually it will make me stronger, less anxious, and a better fighter! 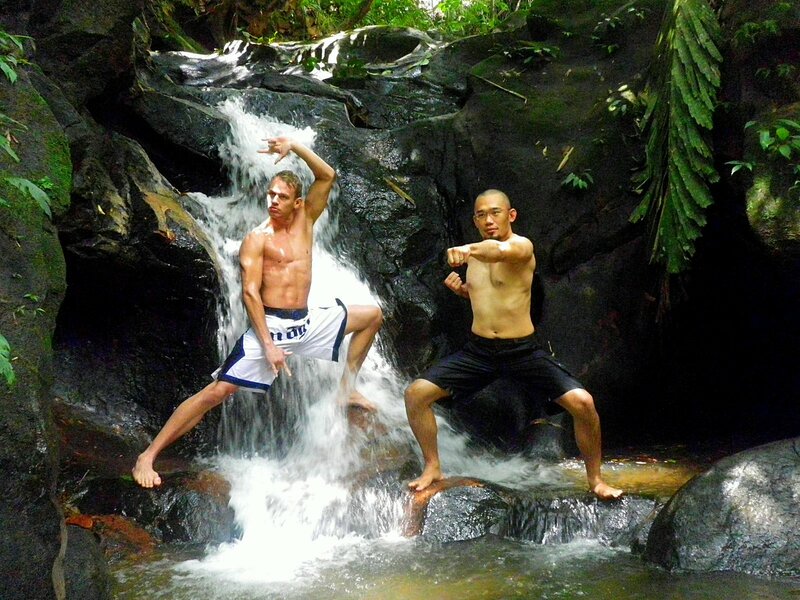 I don't need a waterfall to hit a Kung Fu pose! I am a strong advocate of children's involvement in sports of all kinds, including martial arts, wrestling, football, baseball, kickboxing, gymastics and many others. Learn the Best MMA in Connecticut for building the stamina of body and self defense.